Nuclear pacts fail. So what’s the point? In the last year, the Trump administration has decided to walk away from two nuclear deals. Nonproliferation advocates are up in arms, prior architects of the deals are arguing their merit and adversaries are taking advantage of their newfound freedom by reevaluating their nuclear arsenals. But nobody should be surprised these ultimately failed. First consider the more recent decision to leave the U.S.-Russia Intermediate-Range Nuclear Forces Treaty — or INF — which banned all land-based cruise missiles with a range between 500 and 5,500 kilometers. 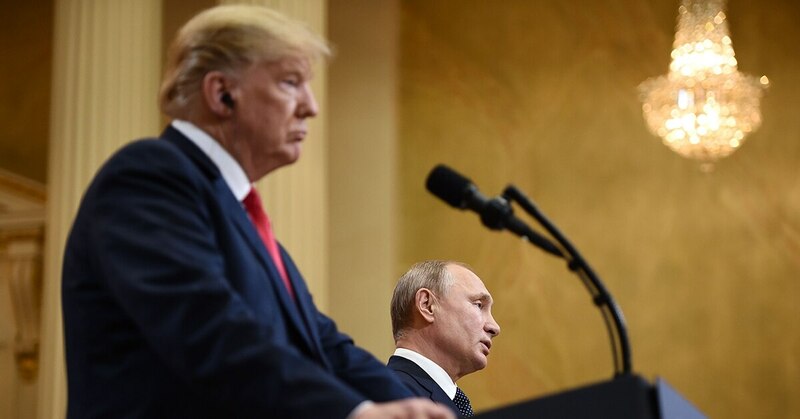 After years of Moscow violating the terms, President Donald Trump pulled the trigger on long-stated threats by the U.S. to walk away. Remember that the INF was a Cold War success story. It epitomized a newfound warming of relations between Russia and the U.S., and it was signed by then-President Ronald Reagan and Soviet President Mikhail Gorbachev. But the U.S.-Russia relationship has since deteriorated post annexation of Crimea and hybrid warfare tactics in eastern Europe. And, quite simply, Trump is not Reagan, and Putin is not Gorbachev. Now consider Iran. Trump made the unilateral decision in May to withdraw from the 2015 Joint Comprehensive Plan of Action negotiated by the Obama administration, which lifted sanctions on Iran in exchange for a freeze on its nuclear program. European nations, China and, yes, Russia urged Trump to stay in the pact. Former Secretary of State and architect of the deal John Kerry bemoaned the decision. But Trump argued the deal was flawed – a Band-Aid that did little to stop Iran from long-term nuclear development. But now what? The Trump administration reactivated economic sanctions against Iran. That left allies from the European Union unhappy. As for the INF decision, it took nearly no time for Russia to kick off production of once banned weapon systems. Let’s not fool ourselves — Putin was waiting for this, and is more than happy to essentially give the U.S. and its treaties and sanctions the finger. So the ultimate question is, I suppose, whether the departures were a mistake when you consider that neither deal was accomplishing what at least nonproliferation advocates would ultimately hope for (even as nonproliferation advocates unequivocally supported both). Neither country was decreasing development of nuclear weapons in such a way as to dismiss or even lesson the threat down the road. But neither deal was useless either. They both provided the U.S. and allies some vision into what Russia and Iran were up to — albeit, limited — and they provided some foundation to call out bad behavior — albeit with little latitude to do much. And perhaps more importantly, they set a global tone on nuclear warfare development: The stakes are too high to allow world powers to move along as they please. This needs to be managed. The world needs to be responsible. The dialogue with North Korea only further reinforces this message. Bad behavior won't necessarily result in ramifications. It may instead spur the United States to come to the table, but then do very little to negotiate any true agreement that would ultimately lead to a reduction in nuclear development. And now we hear that a second summit will take place. Pardon me if I'm pessimistic, but even if a deal is established, we just saw two fail. And in North Korea's Kim Jong Un, we have an even less predictable adversary. So where does that leave us? Back to square one — where new developments may (or are, if you consider the rapid upswing in developments by Russia and even the U.S.) spur an arms race. Decide for yourselves whether that’s a good thing.